In mid-August 2005, Israel began implementing its plan to disengage from Gaza. Within less than a month, on September 11, 2005, its last troops exited the territory. The rhetoric that ensued was that 38 years of occupation had come to an end, but in fact, Israel has maintained control over the movement of both people and goods into and out of the Gaza Strip. It prohibits travel and trade by sea and air, and prevents passage between the two parts of the Palestinian territory. It also controls access to areas of land inside the Strip and fishing access in Gaza’s own territorial waters. In this way and others, Israel continues to impact almost every aspect of life of all of Gaza’s 1.8 million residents. On paper, in statements, and in action, Israel acknowledges the duty to prevent a humanitarian disaster in Gaza, but it does not regard itself as committed to doing anything above the minimum required to keep such a disaster at bay. Since Hamas took over internal control in the Gaza Strip in 2007, Israel has enforced a tight closure, including further restricting movement of people and goods. The closure has prevented development and impacted innocent civilians in Gaza, and beyond that, by unraveling Gaza’s economy, has stunted growth in the Palestinian territory as a whole. Since the implementation of the disengagement plan, Israel contends that it has no obligation to allow travel to and from Gaza through the border crossings it controls, and its policy on movement has been based on the premise that travel, when granted, is an exceptional act of charity guided by narrow criteria. In March 2006, Israel stopped allowing laborers from Gaza to enter Israel via Erez Crossing. Just before the Second Intifada broke out in 2000, more than 26,000 Palestinian laborers entered Israel via Erez Crossing every day. The blanket ban on travel between Gaza and Israel has cut off thousands of Gaza residents from their relatives and denied tens of thousands job opportunities and opportunities for personal and professional development. Denying travel between Gaza and the West Bank is an aspect of Israel’s “separation policy”, which is designed to separate the two parts of the Palestinian territory. The result is not just a violation of individual rights, but also an impediment to economic, social and cultural development in the Palestinian territory as a whole, which are basic conditions for exercising the right to self-determination. Because of the severe restrictions imposed on travel of people between Gaza and Israel, travel from Gaza to third countries takes place mainly through Rafah Crossing, which is controlled by Egypt. However, since the regime change in Egypt in 2013, passage through the crossing is severely restricted and the crossing itself remains mostly closed, thus further exacerbating Gaza’s isolation from the world. Currently, all commercial transit of goods takes place via Kerem Shalom Crossing, which is controlled by Israel. Egypt does not allow cross border commerce via the Egyptian-controlled Rafah crossing.The closure of the Sufa and Nahal Oz crossings (in 2007 and 2010 respectively) and the closure of Karni (in 2007 and its conveyer belt in 2011) thus left Kerem Shalom as Gaza’s sole commercial crossing. Israel’s policy on entrance of goods to Gaza has undergone several changes over the last decade. In the years following Hamas’ rise to power in Gaza, between 2007-2010, Israel restricted entrance of goods to Gaza to a list of several dozen types of items. After the flotilla incident of May 2010 and the public criticism that followed, the policy changed, and since July 2010, civilian goods are permitted to enter Gaza, with the exception of items defined as “dual-use”, on the claim that they can be used for military purposes as well. The list contains patently civilian goods, which are critical for Gaza’s reconstruction, infrastructure, and industry, including basic construction materials (cement, gravel and steel). Recognizing the need to repair the massive damage caused during Operation Protective Edge, a mechanism was set up to allow controlled entry of construction materials, however, the pace at which construction materials have entered Gaza under this mechanism meets just a fraction of the demand. For seven years, Israel imposed a blanket ban on the sale of Gaza-made and -grown goods in Israel and the West Bank, which were traditionally Gaza’s most important markets. During these years, the volume of goods shipped out of Gaza was miniscule, with just a few trucks every month going abroad, and most of those as part of a subsidized project rather than reflecting actual economic activity. 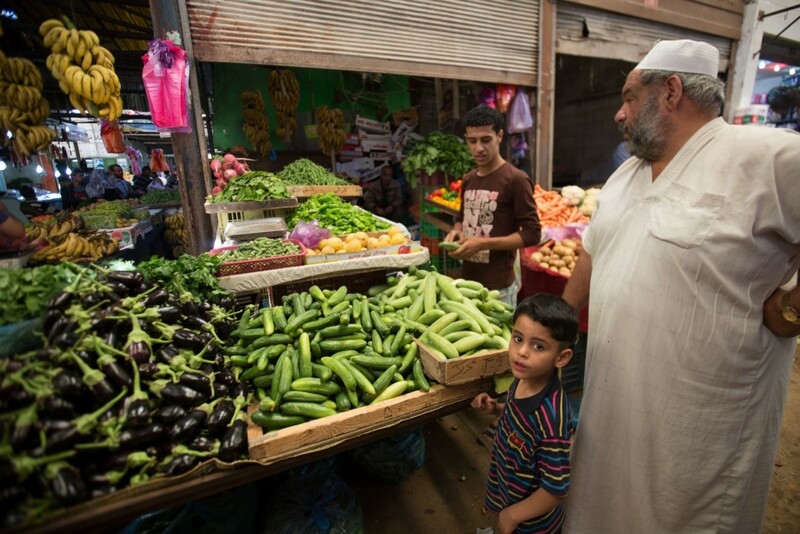 In November 2014, after Operation Protective Edge and the destruction it left in its wake, Israel began allowing certain products from Gaza to be sold in the West Bank and in March 2015 began allowing limited sale of tomatoes and eggplants in Israel. The permission to sell these specific items in Israel came as a special measure for “shmita”, a year during which, according to Jewish custom, farmland cultivated by Jewish farmers is left to lay fallow. Given ongoing restrictions and quotas on exit of goods, as well as the complex requirements and thus costs involved in transporting goods, sales remain limited and have provided only a small measure of financial benefit to few people. Israel also restricts freedom of movement within Gaza. Military forces and installations deployed on the Israeli side of the border fence make use of live fire, often with deadly results, to enforce a prohibition on entry into an area designated by Israel as a buffer zone. This is a strip of land stretching 300 meters into Gaza’s territory, all along its border with Israel. Farmers are ostensibly permitted to work lands up to a distance of 100 meters from the fence, but it’s unclear how the army determines who is and is not a farmer. 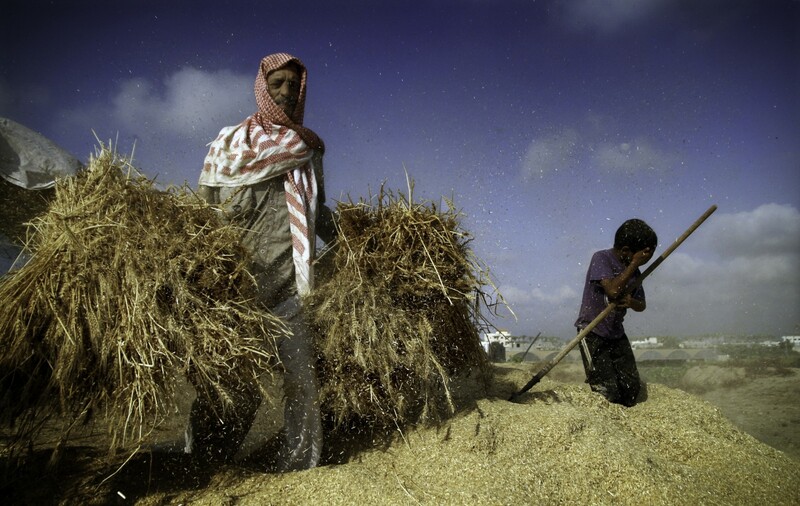 The fact that the military presumes to distinguish between farmers and non-farmers without using any sort of coordination mechanism puts lives at risk and effectively prevents farming, harming landowners’ livelihoods and reducing Gaza’s overall agricultural output. Israel allows fishing in Gaza’s territorial waters up to a distance of six nautical miles off the coast, and has occasionally restricted the distance to three nautical miles only. These restrictions are also often enforced with live fire. In addition to putting lives in danger, the restrictions have significantly impacted livelihoods and reduced fishing output in Gaza. In the decade that has passed since the implementation of the disengagement plan, violence has spiraled in three major escalations. The years of closure have weakened moderates in Gaza and have clearly not improved the security of Israeli residents in surrounding communities. More than 70% of Gaza’s population receives humanitarian aid and about 57% suffer from food insecurity. 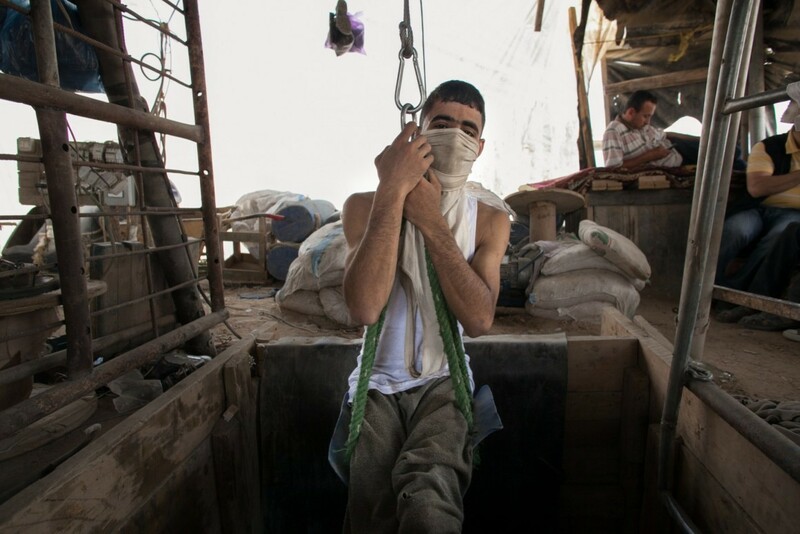 Gaza’s unemployment rate is over 40% – and is nearly 60% among young people. Gaza’s economic stagnation is such that its current GDP is lower than it was twenty years ago. All this, in addition to severe shortages in electricity and clean drinking water and grave need for improved civilian infrastructure, hundreds of schools and tens of thousands of homes. Israel does not bear sole responsibility for this dire situation, but decisions it made in the years before and after the disengagement have played a key role in producing and maintaining it. Prior to the disengagement, Israel failed to invest in developing infrastructure in Gaza, destroyed its seaport and airport, and has prevented independent commercial access. As a consequence, Gaza developed a dependence on access to employment and markets in Israel and a reliance on Israel for maintaining civilian infrastructure, including for its purchase of fuel, electricity and water. Gaza and the West Bank, which continue to share a single economy, a single education system, a single healthcare system and countless familial, cultural and social ties, are also reliant on Israel to allow passage between the two areas. With the implementation of the disengagement plan, Israeli authorities propagated the position that Gaza is an independent entity, separate from both Israel and the West Bank and that Israel no longer bears any responsibilities toward its residents. This position is categorically false. Gaza’s dependence on Israel and Israel’s control over Gaza result in a duty on Israel’s part to do whatever it can, subject to legitimate security considerations, to allow Gaza’s residents to lead normal lives. A decade after the disengagement, the time has come to reverse the tragic mistakes that have been made, including first and foremost, ongoing, unacceptable and unnecessary restrictions on movement. Instead, Israel should adopt a strategy based on generating hope for the people of the region – Palestinians and Israelis alike. Ten years ago, Israel removed its settlements and military installations from inside the Gaza Strip; a move that remains controversial in Israel to this day and continues to shape the lives of millions of people. The “Disengagement Plan”, as it was called, was the most dramatic step in Israel’s policy toward the Gaza Strip in the last few decades, and as such, gave rise to more than a few myths and misconceptions. These are the 10 most prominent myths, together with an account of reality. In a nutshell: Israel controls Gaza’s territorial waters, air space and most of its border crossings. This isn’t disengagement, just remote control. When the last Israeli soldier serving in the Gaza Strip exited the territory, on September 11, 2005, a key feature of Israel’s presence in the lives of Gaza residents came to an end. Yet, Israel maintained control of all crossings along its border with Gaza, as well as Gaza’s territorial waters and air space. Israel continues to control the majority of supply of water, electricity and fuel to Gaza. It controls cellular and electronic communication lines and a portion of Gaza’s territory, inside the Strip, in an area the military designates a “no-go zone”. Israeli politicians discuss among themselves whether to allow Gaza residents to build and operate a seaport. Israel allows the entry of construction materials designated for Gaza’s reconstruction, but under condition that it approve every single purchase. It has used Gaza’s fishing zone as a bargaining chip in every ceasefire negotiation at the cessation of hostilities, and refuses to even engage in a conversation about the rebuilding of Gaza’s airport, which lays in ruins after being bombed in 2001 (and 2009). As for rockets, regrettably, communities in southern Israel have been suffering from rocket fire since 2001, when Israel had a permanent ground presence in Gaza. Israel is facing real security threats. But the way it has chosen to address them is wreaking havoc on the lives of the 1.8 million people living in Gaza – a majority of whom are children – and it is failing to provide security to the residents of southern Israel. In fact, security experts have acknowledged that not only has the closure failed to advance Israel’s security, but rather, it is one of the main drivers of instability in the region. In a nutshell: Both Israel and Egypt allow Palestinians to travel to and from Gaza, in theory, but the question is how difficult it is, who is eligible, and more importantly, who isn’t. Both Israel and Egypt allow Palestinians to enter and exit Gaza through their respective territories, in theory. The number of exits by Palestinians through the Israeli-controlled Erez Crossing has been gradually increasing since September 2014, with a current average of 18,000 exits per month, more than triple the monthly average before Operation Protective Edge. But, these numbers are still negligible compared to need, and represent about 4% of the travel volume through Erez in the summer of the year 2000. Egypt occasionally opens Rafah Crossing for a few days at a time for travel in both directions of pre-approved categories: Medical patients with referrals to Egyptian hospitals, students, and people with foreign passports or residency. 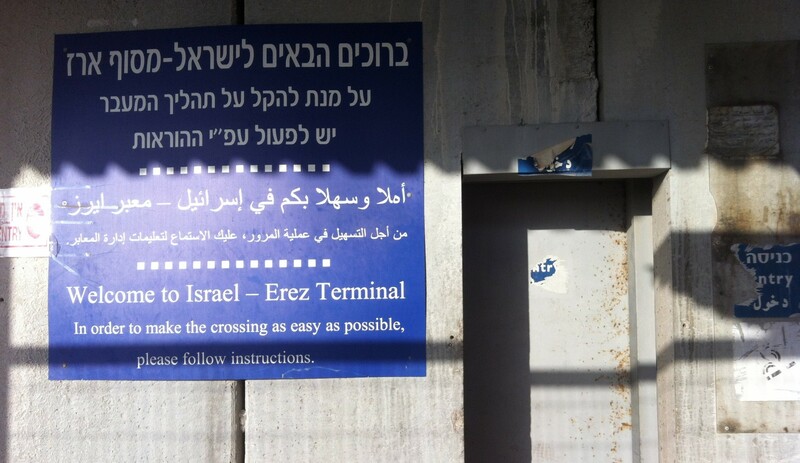 In theory, it is possible to enter and exit Gaza. The question is how difficult it is, who is eligible, and more importantly, who isn’t. Egypt may have opened Rafah Crossing for a few days just recently, but the crossing has remained closed most of this year, and only a fraction of those wishing to travel manage to cross when it opens. In addition, while the number of exits through Erez Crossing has risen in recent months, the criteria for travel remain exceedingly narrow and most Palestinians do not meet them. Some merchants are able to receive exit permits under certain conditions, but ordinary Palestinians have to develop a serious illness, or wait for a first-degree relative in the West Bank or Israel to become seriously ill, marry or die, for their permit application to even be considered. Sometimes even Palestinians who do meet these criteria do not receive a permit or have to cut through gruelling red tape and meet the requirements of procedures and regulations, many of which have never been published. In a nutshell: Israel allows Gaza residents to purchase construction materials, under restrictive conditions. In June 2015, at the Herzliya Conference, Israeli Prime Minister Binyamin Netanyahu said (Hebrew): “If anyone is rebuilding Gaza it is Israel”. The facts, unfortunately, suggest otherwise. Israel is not rebuilding Gaza. It is allowing construction materials, bought and paid for by others, to enter under narrow conditions. The materials enter Gaza only with Israeli authorization and under United Nations supervision, which renders reconstruction efforts difficult and costly. In fact, it took almost a year from the time the mechanism for coordinating the entry of construction materials into Gaza was established before authorization was given to build new homes in Gaza, partly because Israel could not reach an agreement with the Palestinian Authority about the formula for bringing in construction materials for new homes. The quantity of construction materials that has come into Gaza since the mechanism was put in place has met just 10% of need in the Strip. A recent ban on the entry of wood planks is making matters worse for the construction sector and threatens to destroy the furniture industry. Besides that, rehabilitating the Strip isn’t just about rebuilding, it’s about allowing life to go on and flourish. In a nutshell: Israel’s closure of Erez turned Rafah Crossing into Gaza’s main gateway to the outside world, but, although Egypt hardly allows the movement of people and goods through the crossing, it still bears less responsibility to allow passage than Israel. Israel’s closure of the Gaza Strip, the ban Israel imposes on sea and air travel and the severe restrictions on movement through the crossings it controls, have blocked off Gaza and turned Egypt into Gaza’s main gateway to the rest of the world. This situation does impose some degree of responsibility on Egypt and Egypt is far from fulfilling it. Rafah Crossing is seldom opened and thousands of people are on waiting lists to travel at the next available chance. Still, the control Israel has actively exercised over civilian life in Gaza (as described in Myth #1) throughout the years, and the dependence this has created, enhance Israel’s obligations to allow Gaza residents to lead normal lives. In a nutshell: It wasn’t just Gaza that elected Hamas in 2006 and most Gaza Strip residents were too young to have taken part in the elections anyway. Hamas won the majority of parliamentary seats in the Palestinian legislature in the 2006 election, but it did so throughout the Palestinian territory, in the West Bank and east Jerusalem too. A year later, Hamas took over Gaza by force, and continues to rule the Strip de facto to this day. About two-thirds of Gaza’s population is under the age of 24, meaning that they would have been too young to vote in the 2006 election anyway, or that they had not even been born yet. Elections have not been held since. Given that the majority of Gaza’s residents are children (that’s over 900,000 children), this also raises questions about their, and other innocent civilian’s culpability for the actions of militants. In a nutshell: Despite the political divide, Gaza and the West Bank share national, social, cultural, familial and economic ties. The claim that there is no connection between Gaza and the West Bank is based on the political and geographic divide between the two areas, but it ignores a rather long list of facts. A few examples: About a quarter of Gaza residents have relatives in the West Bank. The Gaza Strip and the West Bank have been recognized as a single territorial unit both by Israel (in the Oslo Accords) and the international community. Despite the political divide, the Palestinian Authority and its representatives are an inseparable part of life in Gaza in many ways. They pay Gaza’s electricity bill and liaise between its residents and Israel, just name a few. In a nutshell: Israel does not give. It sells. Israel sells Gaza electricity, water and food. It does not give these out for free. By the way, as far as electricity goes, despite the rumours, Gaza owes nothing to the Israel electrical company, unlike the situation with electricity sold to the West Bank. All Gaza electricity debts are paid with Palestinian taxpayer money. Additionally, not all the water Israel purports to sell the Gaza Strip actually gets there, and in any event, the amount of water and electricity Israel does sell Gaza are far from meeting residents’ needs. In a nutshell: Want a thriving economy in Gaza? Remove the restrictions on freedom of movement. Severe restrictions on movement were imposed on Gaza residents even before Hamas took control in June 2007. Recall that one of the initial goals of the closure was, officially, economic warfare and that Israel continues to impose a slew of movement restrictions on Gaza that seriously impede the development of a functioning, let alone thriving, economy. While some of restrictions have been reversed (like the infamous ban on civilian goods such as coriander and chocolate), and others have been partially removed (the ban on the sale of Gaza-made and -produced goods in the West Bank has been replaced with a list of restrictions that render trade too costly), other restrictions have been added. A position paper we published this year assessed the economic potential of the Palestinian territory, with the main conclusion being that the West Bank and the Gaza Strip need each other if there is to be any realistic hope of a flourishing Palestinian economy. Without access to its natural markets in Israel and the West Bank, without ports, and with harsh restrictions on travel of people, the concept of a new Singapore in Gaza will remain a distant dream. In a nutshell: There are millionaires in Gaza, and a middle class too. Still, life in Gaza isn’t simple and it doesn’t have to be this way. Gaza is poor. With a 41.5% unemployment rate, 57% of residents being food insecure and more than 70% relying on humanitarian aid, it’s hard to deny this fact. Yet, every once in a while, someone rediscovers the fact that Gaza has malls and markets, hotels and swimming pools, and these images go viral online. Bursting the bubble for those who only see Gaza as a caricature of a humanitarian crisis is obviously quite easy, but Gaza is much more than that. Yes, there are a few millionaires in Gaza, and a small middle class. There are students, intellectuals, artists, doctors and other professionals. Some shop in the markets. Some can even afford to stay at a hotel. The fact that these people exist does not erase the hardship and the distress and cannot make unemployment, which is as high as 60% among young people, go away. What this gap does do is offer a glimpse into what Gaza could be, if only given the chance. In a nutshell: Travel restrictions apply to people against whom there are no security allegations, and the security logic behind the current restrictions on the movement of goods is difficult to grasp. A Palestinian who wants to travel from Gaza has to meet Israel’s criteria. This narrow list of criteria has nothing to do with security. People against whom there are security allegations cannot cross either way. Moreover, the same person may be able to exit Gaza for one reason (for example, to attend a seminar in the West Bank), but won’t get a permit in different circumstances (if, for instance, she wants to study medicine in the West Bank). It is also very difficult to explain some of Israel’s prohibitions on the entry of goods into Gaza. Israel now allows construction materials to enter Gaza under tight control. This creates a shortage of construction materials in Gaza, which in turn, gives rise to a lucrative black market. While cement, gravel and steel can enter under certain conditions, Israel is currently not allowing wood planks to enter, claiming they may be used to build tunnels. If there were a security explanation for all these restrictions, Israel’s Ministry of Defense has yet to provide it. And even if there were such an explanation, measures that cause serious harm to a large population cannot be justified by whatever marginal contribution they make to security. Ten years after disengagement, Israel still limits family ties, trade, academic studies, fishing and agriculture in the Gaza Strip. It’s time for a change. Though Israel removed its permanent military presence inside the Gaza Strip in September of 2005, it continues to impact almost every aspect of civilian life there, mostly through its control over movement of people and goods to and from the territory. Some of the restrictions imposed on movement and access date back to the early nineties. Some restrictions began in 2000 after the start of the Second Intifada and have remained in place ever since, such as the ban on travel to the West Bank for the purpose of academic study and the refusal to update address changes for Gaza residents who relocated to the West Bank. These are some of the milestones of Israel’s policy on access and movement toward Gaza over the last decade. 2005: Israel implements the “Disengagement Plan”, removing settlements and military installations from inside the Gaza Strip. A strip of land running along the Gaza-Israel border and comprising about 17% of Gaza’s territory is declared a “buffer zone” and deemed off-limits to Palestinians. With American mediation, the Agreement on Movement and Access (AMA) is signed. The AMA is designed to ensure the operation of the Rafah Crossing, the Gaza-Egypt border crossing, as well as truck and bus convoys between Gaza and the West Bank. 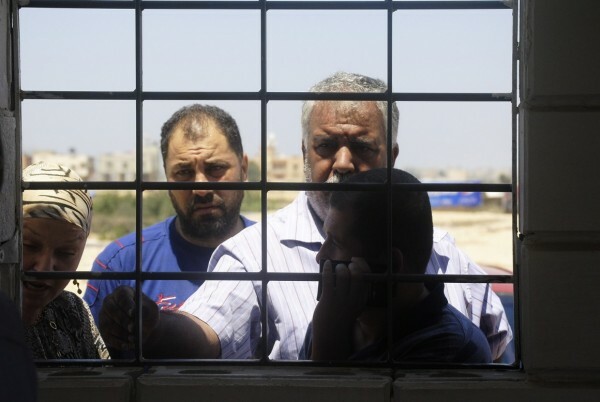 Rafah Crossing is opened, but Israel never allows the convoys to operate. 2006: Hamas wins a majority of seats in elections for the Palestinian legislature held in the West Bank, East Jerusalem and the Gaza Strip. In March, Israel bans laborers from Gaza from entering its territory, and later initiates a policy that allows travel only in “exceptional humanitarian cases”. In June, after Israeli soldier Gilad Shalit is captured by militants in Gaza, Israel launches Operation Summer Rains and bombs Gaza’s sole power plant. Rafah Crossing is shut down, opening only rarely for humanitarian needs. Israel limits fishing off the Gaza coastline to a distance of no more than six nautical miles from shore. 2007: The Palestinian unity government collapses and Hamas takes control of Gaza by force in June. Israel launches a policy of what it calls “economic warfare”, also known as the Gaza closure. Israel closes Karni Crossing, Gaza’s main commercial crossing, leaving only a conveyer belt used for transporting grain and animal feed, which continues to operate until March 2011. Israel forbids shipment of goods outside Gaza and restricts goods entering it, including civilian goods that are considered “luxuries items”, such as coriander, chocolate and toys. In September, it declares Gaza “a hostile entity”. Israel uses mathematical formulas to calculate the minimum amount of food Gaza residents need to consume in order to avoid a humanitarian crisis, and enforces restrictions on the amount of fuel and electricity entering the Strip as well. The fishing zone is reduced to three nautical miles off the shoreline. 2008: Second year of Gaza closure. As part of the terms reached in a temporary cease-fire agreement with Hamas, Israel allows a 25% increase in the volume of humanitarian goods entering Gaza. Other restrictions remain in place. Over the course of the year, Israel openly refers to the closure as a means of putting pressure on Hamas, and the entry of goods into Gaza, including fuel, is often stopped in response to rocket fire. The cease-fire collapses at the end of the year and Operation Cast Lead is launched. 2009: Third year of Gaza closure. Operation Cast Lead, during which Gaza’s power station and high tension electricity lines were bombed and the amount of fuel entering Gaza was reduced below the “minimum humanitarian” bar set by Israel, ends in January. Fuel shortages impede operations at Gaza’s power station, partially repaired since being bombed in 2006. Water and sewer infrastructure is also damaged. Israel publishes a procedure setting out conditions under which Palestinians from Gaza can relocate to the West Bank for family unification, however these are so stringent that no one can meet them. 2010: Fourth year of Gaza closure. After the Israeli navy raid on a flotilla to Gaza goes awry, Israel cancels most restrictions on goods entering Gaza, with the exception of goods it defines as “dual use”, including construction materials. Export abroad is slightly expanded, but the ban on selling Gaza-made and -grown goods in the West Bank and Israel remains in place. Senior merchants from Gaza are permitted to enter Israel and the West Bank, subject to quotas. Egypt opens Rafah Crossing on a regular basis, expanding travel through the border crossing in the years to come. 2011: Fifth year of Gaza closure. Israel announces it will update the addresses of 5,000 Palestinians who had moved from Gaza to the West Bank as a diplomatic gesture, which is never fully fulfilled. Operation Pillar of Defense begins. 2012: Sixth year of Gaza closure. The cease-fire agreement reached by Israel and Hamas after Operation Pillar of Defense is never formally made public, but Israel increases the fishing zone to six nautical miles off the shoreline and announces farmers will be able to approach to a distance of up to 100m from the border. After the Muslim Brotherhood comes to power in Egypt, Rafah Crossing operations are significantly expanded and trade through the tunnels between the Sinai desert and Gaza reaches new heights. 2013: Seventh year of Gaza closure. A change of regime in Egypt. Egypt destroys most of the tunnels between its territory and the Gaza Strip and shuts down Rafah Crossing with increasing frequency. Israel allows in construction materials for the private sector for several weeks, but after a tunnel leading from Gaza to the kibbutz community of Ein Hashlosha inside Israel is discovered, Israel imposes a complete ban on the entry of construction materials into Gaza, as a result of which the construction sector in Gaza collapses and unemployment soars. Later, Israel allows international organizations to bring in construction materials. The Israeli Ministry of Defense orders the closure of Gaza crossings in response to rocket fire on several occasions. 2014: Eighth year of Gaza closure. On July 8, 50 days of intense fighting, known as Operation Protective Edge, begins. In its aftermath, Israel allows limited sale of Gaza-made and -grown goods in the West Bank for the first time in seven years. Some changes in policy take place allowing more family visits to the West Bank and elderly Muslims from Gaza to travel to Jerusalem for Friday prayers. Following an attack in the Sinai desert, Egypt tightens travel restrictions at the Rafah border crossing. A mechanism is instituted to facilitate Gaza’s reconstruction, allowing for controlled entry of construction materials into the Strip. Despite this, the construction materials shortage persists and a black market develops. 2015: Ninth year of Gaza closure. Israel allows limited sale of produce from Gaza in Israel for the Jewish year of shmita, during which observant Jews must allow agricultural lands to lay fallow. Travel between Gaza and Egypt is severely limited during the first eight months of the year. Israel bans the entry of wood planks more than one centimeter thick, claiming they may be used for tunnel building, leading to a crisis in the construction and furniture-manufacturing sectors.